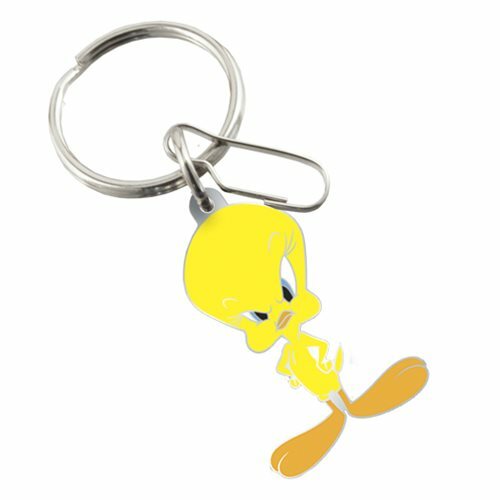 Put your favorite Looney Tunes character on display with this Warner Bros. Tweety Enamel Key Chain. From Plasticolor, this key chain is a great way to show off your individuality as well as a great way to keep track of your keys. Made from high quality metal and enamel, these key chains are made for long lasting durability. This key chain is attached to a heavy duty plated split ring and clip for securing your keys. Ages 12 and up.